1. Do I need a password? In addition to a new client needing a password, you cannot buy anything without one. 2. If I am unable to find a product, or unable to finish my purchasing for any reason, what do I do? You either contact our local agent or send us an e-mail via our website, a fax or even phone us. 3. If Paypal will not accept me, what do I do? You can use any other method of payment, such as CAD, LC, wire transfer or contact us through our agent or directly through our web site. These conditions are stipulated by our bank in New York - click: bank details. 4. What are the prices shown for the different products? These prices have all been offered. 1. Do I need register? Yes, this is necessary to enable transactions. You must receive authorization from our site and technical administrators. 2.	Who is responsible for the product information? You are. That means all suppliers and any manufacturer who advertises. 3.	Who can change the product information? The suppliers and manufacturers are responsible but they must coordinate all changes with our administrators. 1. What do I need an agent for? He is your direct contact with ChemCenter. He speaks your language and if necessary he will come and visit you. This does not mean that you cannot contact us at our headquarters. 2. How do I find an agent? We have a list on our site, please click on contact us. Click on the advertising category on our site. 2. Can I get a discount if I register for a long period? Fill in your comments on the form and we will try and help you. 1. Why do I need more than one search engines? This enables you to find the exact product you are looking for. 2. What is the difference between the search engines? Basically, they are the same, however, one is simple and the other is more advanced. 3. What do I do if I cannot find the product I am looking for? Use our Request for Information (RFQ) mode in the buy category or contact us, either directly or through our local agent. It is important to provide the maximum information. 1. What do I need a forum for? 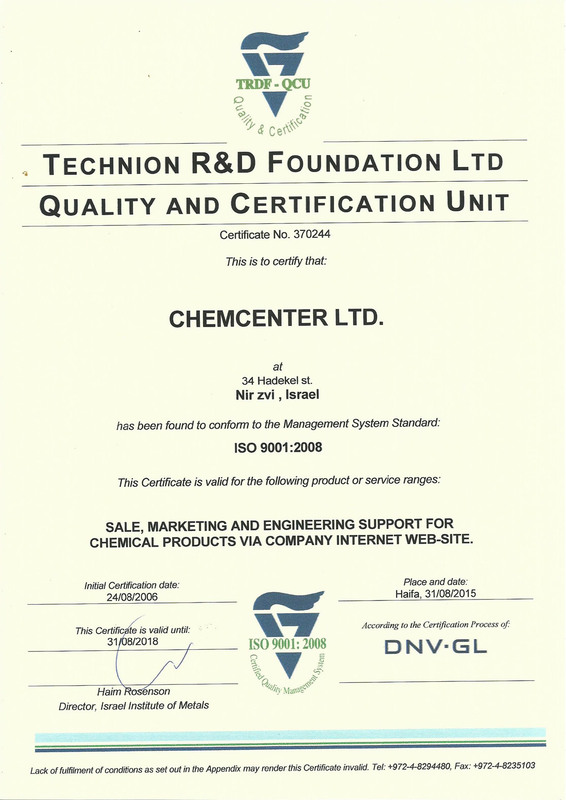 This enables you to put forward any comments, questions, queries about anything ChemCenter looks after. 2. What is the difference between the forums? Basically, there are two different types of forum: administrative and technical. The more time passes; we hope to provide more information for you.